I published my first book in December of 2014. 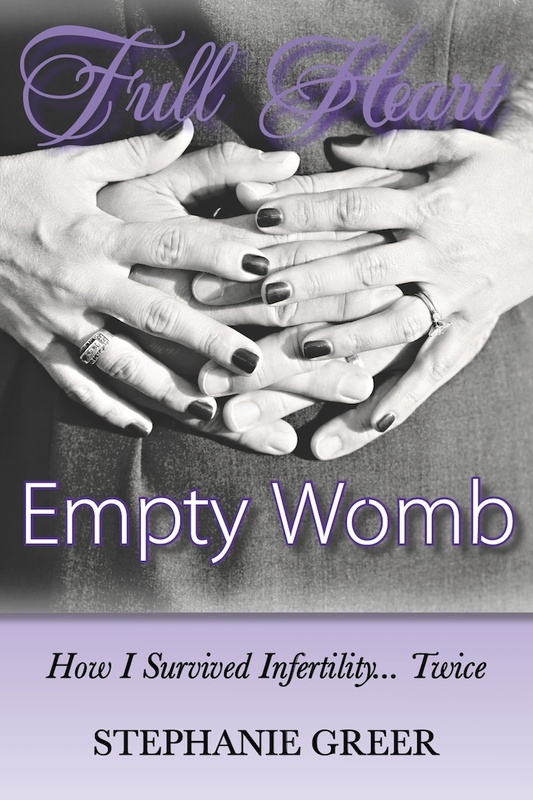 Titled “Full Heart Empty Womb: How I Survived Infertility…Twice,” I chronicled my near ten year battle with Infertility. After my last failed IVF in 2013, I felt depressed, misunderstood, and honestly pissed off. One in eight couples deal with Infertility, so why do I feel so alone? Because no one talks about it. My frustration about that fact and the need to work through the mountain of emotions I was dealing with, urged me to pick up my pen and write. I found healing and peace in the writing process, so that made the experience worth it in itself. I have continued to be blessed with having the opportunity to help people who are dealing with infertility or have dealt with it in the past. Want a quick intro into the first couple of chapters? Watch Steph’s monologue.